Guilderton Lighthouse | Lighthouses of Australia Inc.
At the place where 40 guilder coins were found from a ship that was wrecked in 1656, stands the red brick lighthouse that was established in 1983. It is the only major navigation light between Fremantle and Jurien Bay, and is also the last to be built in Western Australia. In 1931, forty 17th Century silver guilder were coins found in the sand hills near the entrance to the Moore River. The wreck of the ship, which had been carrying a valuable cargo which included silver coins worth 185,000 guilders, was not discovered until 1963. In 1983, the Federal Department of Transport established a lighthouse at Wreck Point, Guilderton near the river mouth at a cost of $240,000. It was built as an automatic marine beacon and commenced operation in December of that year. It was the only major navigation aid between Fremantle and Jurien Bay, and is also the last to be built in Western Australia. 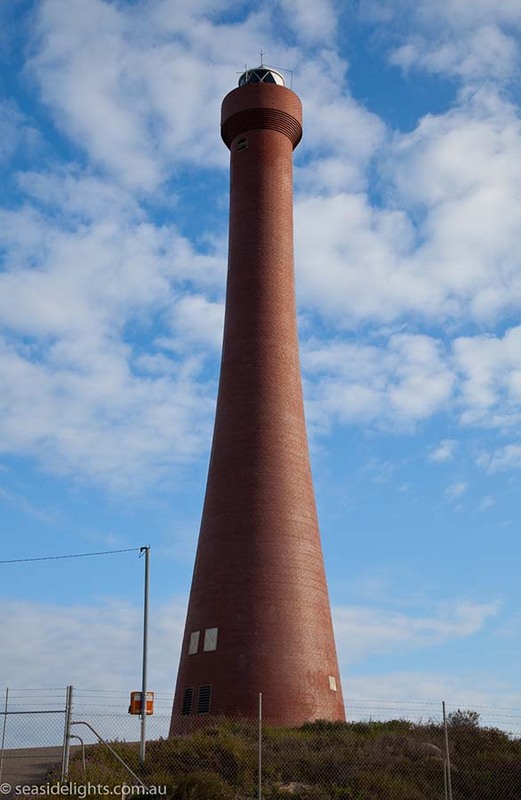 The new tower, constructed in specially tapered red clay bricks, was 32 metres high and the base was 7.5 metres in diameter. Placed on top was the white metal lantern house containing a triple bulls-eye lens that displayed a light that had a range of 22 nautical miles. The light is 76.75 metres above sea level. 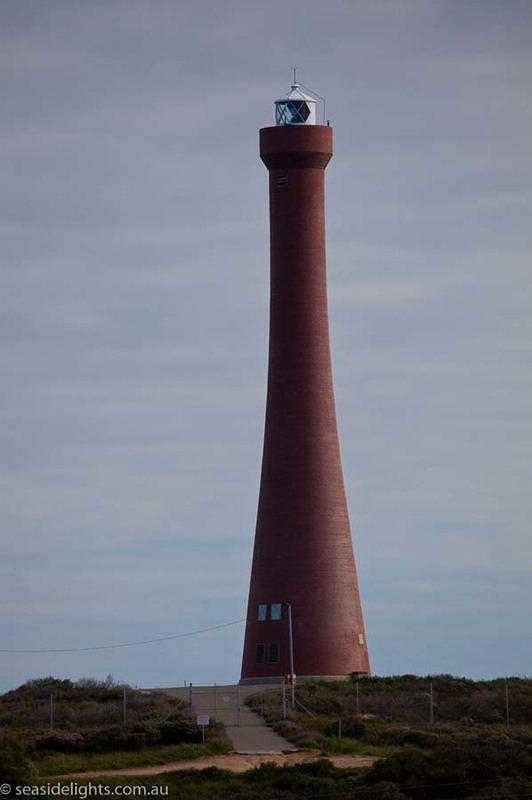 The lighthouse has a slightly larger twin at Troubridge Hill in South Australia and both have won an architectural awards.